BATTERY TYPE : MAXLITHIUM. This is Genuine Worx 20V 2.0Ah is compatible with 20V Worx tools – both garden tools and power tools – as well as 18V Worx tools. PowerShare lets you share the battery and save money. Model# WA3580. The WORX 40-volt Max lithium battery is the its: WG180, WG280, WG380, WG580, and 40V series mower. 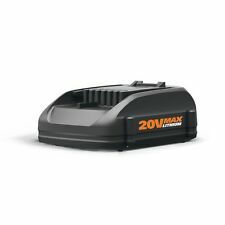 WORX 40V Max Li-ion Battery, 2.0Ah Great extra battery to have for the 40-volt WORX lithium tools. 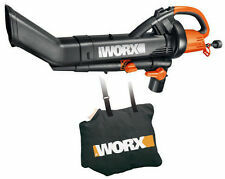 Worx offers a complete line of construction, maintenance, and lawn care tools for any project. Many of their items are cordless and powered by lithium-ion batteries to ensure that you can take the tools with you anywhere. With so many types of equipment for you to choose from, it's a good idea to familiarize yourself with some of the standard tools Worx brings to the table. What types of Worx tools are there? 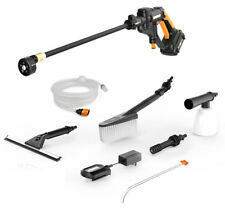 Worx has crafted a line of equipment that is designed to meet both your indoor and outdoor maintenance needs. Some of their most common items include construction tools and lawn care devices. 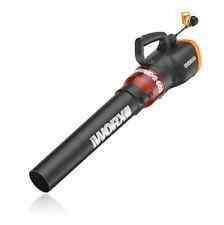 The Worx lithium-ion leaf blower is a cordless, battery-powered device with multi-speed fan control, turbo boost, and a hyper-stream air nozzle. You can choose from various power settings in both indoor and outdoor environments. An electric chainsaw from Worx is lightweight for easy handling and includes an extension pole for better reach and an anti-vibrating handle for a more secure grip. Worx offers a cordless impact driver for use with longer and larger screws or a semi-automatic driver that includes a screw holder. If you work with several screw types on the job, you may find the Switchdriver helpful as it combines the features of a regular screwdriver and an impact driver into one unit. 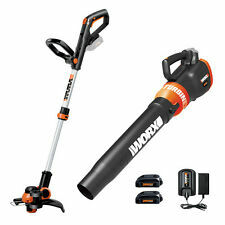 The Worx hedge and grass trimmer is designed with control, versatility, and your comfort in mind. It's ergonomic grip and shaft mean it stays comfortable even if you need to use it for prolonged periods. 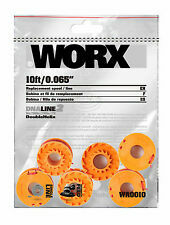 What are some of the features of Worx equipment? Most of their equipment comes in cordless variants. These tools will give you an added convenience factor as your workspace won't be limited to the length of an extension cord. 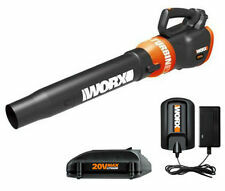 Cordless products from Worx come complete with lithium-ion batteries. These batteries allow you to use your tools off-site without the need to recharge them several times throughout the day. 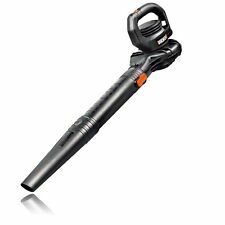 While the company produces specific units for certain jobs, you can find a host of products that combine more than one tool, such as trimmer that is also an edger or one that has a blower attached for easy clean-up. How should you care for Worx tools? There are a few different ways you can care for your equipment depending on what type it is. Keep any bladed tools such as trimmers or clippers sharp. Place cordless tools in charging stations at the end of the day so that they're ready for you next time. Tighten any bolts or screws that may have come loose over time. Content provided for informational purposes only. 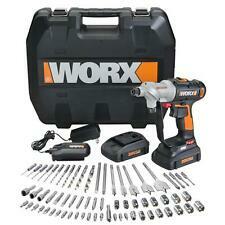 eBay is not affiliated with or endorsed by Worx.